Today’s comic is a tribute to my new home, Portland. So many of the people I’ve met here do a great variety of things with their time, and have so many skills! James and I are polymaths ourselves, so it’s easy to see why we feel at home here. We’ll be returning to our former home, San Diego, for San Diego Comic-Con, July 20 through the 24th. This is the most expensive convention we exhibit at, so I’m working as hard as I can to make enough monstery goodness to sell and cover our costs. I am trying to NOT need to take the comic from three days a week to two days a week, but should I have to, I have a question for you all. What days of the week do you read the comic? I post Monday, Wednesday, and Friday. Do you read them all on one day? 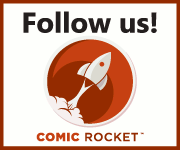 Look forward to reading the comic before noon Pacific time on MWF? Catch up every few weeks? Let me know your reading habits in the comments! If I do have to make some temporary changes, I’d like to try and make sure they have as little impact on you as possible. Your feedback will help me do that! I say you do whatever you need to do to make it work though. You have been busy with the move, and are busy prepping for a HUGE con. I think we’ll understand if we have to wait a few extra days! 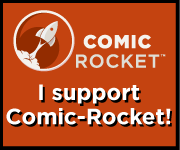 Since, you told me about comic rocket, I pretty much read when it lets me know there’s a new comic. So I’m good whenever! If I were to suggest a pair of days, I’d say Monday (’cause you need something on Monday to start the week right) and Thursday (so if you miss the Thursday update right away, it helps with Friday). But I have you bookmarked on my blog, and it lets me know when a new one is posted, so I read ’em fairly quickly. I tend to binge/catch up when I have the time/need it.